A California man who survived the wildfire that destroyed thousands of acres, homes, businesses, entire neighborhoods and towns in California, surveys the damage at a neighbor’s house. 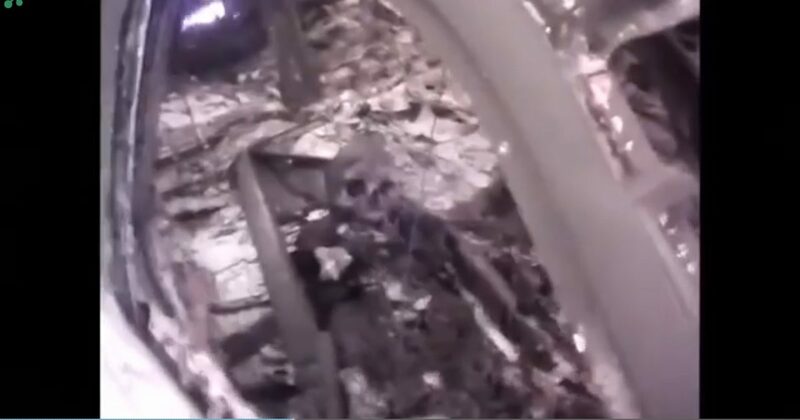 Alternately distressed by his neighbors’ tragic fate, then thankful to be alive, the survivor videos the skeletal remains of his neighbors who were trapped in the fire. He made an effort to save them, but they wouldn’t leave without a female member of the family who refused to go without putting on her makeup first. Her family was burnt alive as a result. “She had to put her makeup on. She died because of it,” explains the distraught survivor. A few readers have commented that the video is fake. Not only do I consider myself a very good judge of authenticity (the guy in the video is clearly for real), but I vetted the video and it has been corroborated and authenticated by multiple media sources. I offer the following to those critics…. Real or not real?